If You Want Grandchildren, Don't Feed Your Kids Commercial Corn! And you should avoid it, too, for that matter! If you don't choose carefully, your food could be sterilizing you. This isn't new news, but I feel it bears rehashing, especially for those not "in the know." In 2001, Epicyte, a CA bio-engineering company, revealed that it had created spermicidal GM corn. So how do you know if you have consumed this fertility-destroying corn? You don't...because products containing GM corn aren't labeled with a warning, nor is this franken-food being sold at the pharmacy as a birth control method (which would be best avoided for multitudinous reasons). It's just another wave of GM corn in the food supply somewhere in the world. The ultimate buyer beware sneak. 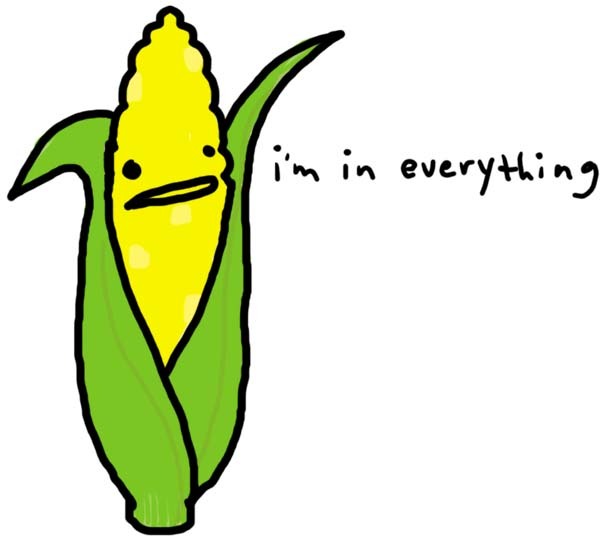 Why sneak spermicidal corn into the global food supply? Silly question, right? Are not all the food and medical industry's ploys about control? In this case, maybe population control? Crazy? Well, call me crazy, but when I see population control mega-advocate Bill Gates attached to a project, I start doing the math. (In fact, GMOs aren't the only means available of involuntary infertility and population control. Gates' other pet project plays a role in this awful drama...but that's a discussion for another day.) I'm not surprised by Gates' behaviour, considering his population control comments in 2010, and his Monsanto investments. Regardless of one's political or religious ideology, we should all be able to agree that forced sterilization is a violation of human rights. If a consumer chooses to ingest spermicidal corn, that's one thing...but this isn't being presented as an open option on the food and drug market. Consumers cannot know when they are eating GMOs because the public is not being protected by labeling laws. Rather, fertility-diminishing GMO corn, along with its franken-food friends, is being thrust upon unwitting victims. Will you be one of them? For various political and health reasons, I do not consume corn, nor will I feed it to my children. Frankly, I don't trust the corn supply...even the "Organic" variety. But consuming habits vary, so my best advice (and this is not revelatory, I know) is to eschew industrial food...buy Real Food, beyond organic, as much as you can. Don't buy food containing corn, soy, canola, and the other major GM players. At some point, even purchasing "USDA Organic" food may not protect us from GMOs. This is a dangerous game and we need to protect ourselves...no one else will do it.